This gas alerter is a compact and reliable meter, which is built to guarantee the safety of factory workers. The gas alerter has a lifespan of 2 years and is prepared for every condition that could possibly emerge in the industry. 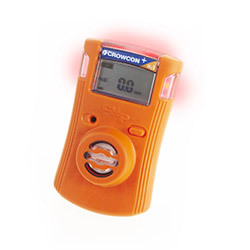 The gas alerter Crowcon Clip can measure the parameters for hydrogen sulfide (H2S), carbon monoxide (CO) and oxygen (O2). 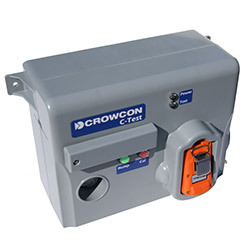 The gas alerter Crowcon Clip guarantees optimal security due to its reliability and the fact that is does not require any maintenance. At the same time, the gas alerter is uncomplicated so that time-consuming briefings become unnecessary. 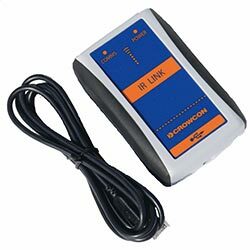 Via the additional software and the IR-link, various alarm-steps can be adjusted, the measuring data can be shown in real-time, or interpreted and documented by meanings of the integrated IR- interface. 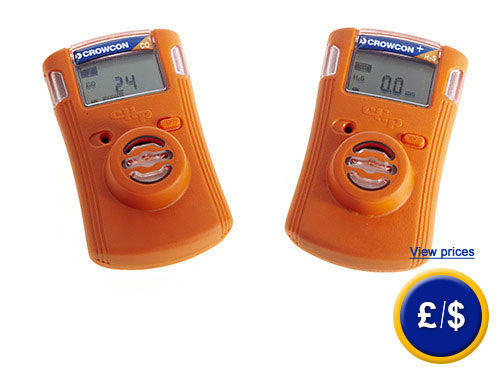 The gas alerter Crowcon Clip also notifies the user if a gas - detection should become necessary (Bump-test). As previously mentioned, the gas alerter is prepared for any conditions that could emerge in the industry. Measurements can be executed at a temperature range of -40 to +50°C or relative humidity of 5 to 95%. The gas alerter has IP 66 and 67 standard protections and, with measures of 81 mm x 50 mm x 28 mm, it is very compact. If there are any questions about these products, please contact us: UK customers +44(0) 23 809 870 30 / US customers +1-410-387-7703. 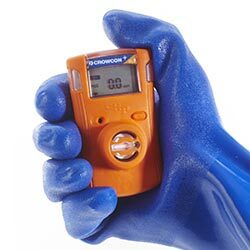 An overview of all gas alerter can be found here: gas alerter Our technicians and engineers will be happy to help you with this gas alerter Crowcon Clip and all other products in the field of measuring instruments, regulation and control and scales. O2 0 ... 30 % Vol. 19 % Vol. 23.5 % Vol. C-test station for easy handling of gas monitoring, calibration (if requested) and event protocolling of gas alerter Crowcon Clip. -	User - friendly software.